Spring is in full bloom, and many homeowners are well underway with their spring cleaning routines. While most people include dusting in this routine, there are just as many who don’t understand the different types of dusting, as well as how they’re necessary and how they affect your health. But knowing the truth about the importance of all types of dusting can help you plan your spring cleaning routine while prioritizing your dusting and dust mite destruction duties. Here are just a few different types of dusting that are essential to include in your spring cleaning routine. While most people dust the areas that are at or below eye level, not everyone remembers to grab a ladder or step stool and get those pesky, hard-to-reach places, like lights and ceiling fans. This is also true for areas like kitchen cabinet-tops, where dust can accumulate particularly quickly. Don’t let decorations or aversion to using a ladder keep you from dusting those higher up places — just invest in a longer dusting wand designed to reach them, and dust away! According to the U.S. Department of Energy, 25% to 40% of the energy used for heating or cooling a home is wasted. This is partially because contaminants build up in the HVAC system, forcing it to work harder. Improve efficiency for the coming season and remove these contaminants by investing in an air duct cleaning service. Homeowners should have air ducts cleaned every three to five years for maximum cooling and heating efficiency, but efficiency aside, there are human health concerns as well. Contaminants and air pollutants, such as dander, dust, and chemicals are pulled into the HVAC system and re-circulated five to seven times per day. 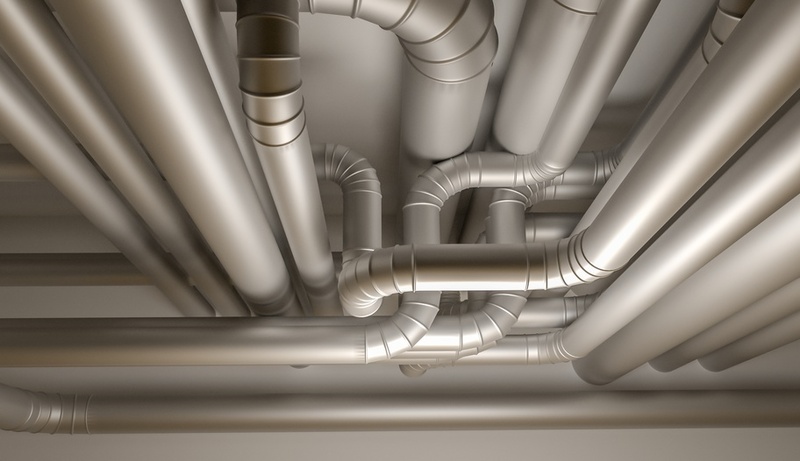 Over time, this re-circulation will cause a buildup in the duct work, harming residents’ health. Finally, many homeowners wouldn’t think that much dust could build up on their walls, but they’d be surprised. Take some time to carefully wipe down your walls using a gentle solution of dish soap and water. This is safe with both paint and wallpaper; just be careful not to scrub too hard to avoid causing damage. Spring cleaning isn’t always easy, but taking your time to complete these specific types of dusting will pay off for both your home and your health. For more information about cleaning air ducts, contact Duct Squads. Why Is Spring a Good Time to Insulate Your Attic? Why Is Dryer Vent Cleaning So Important?